Flake is the senior pastor of the The Greater Allen A. M. E. Cathedral of New York in Jamaica, Queens County, New York City. According to the published marketing message, “The church and its subsidiary corporations operate with an annual budget of over $34 million. The church also owns expansive commercial and residential developments; a 750-student private school founded by Flake and his wife Elaine, and various commercial and social service enterprises, which has placed it among the nation’s most productive religious and urban development institutions. The corporations, church administrative offices, school, and ministries comprise one of the Borough of Queens’ largest private sector employers.” The Church is recognized as a major real estate developer. Flake earned a D.Min. degree from the United Theological Seminary in Dayton, OH. Additional studies were conducted at Payne Theological Seminary and Northeastern University School of Business. His numerous honorary degrees include awards from Boston University, Fisk University, Lincoln University (PA), and Cheney State (PA). Flake serves as a member of the following boards: (1) The President’s Commission on Excellence in Special Education; (2) The Fannie Mae Foundation; (3) The Princeton Review; (4) The New York City Investment Fund Civic Capital Corporation; (5) the Federal Deposit Insurance Corporation Advisory Committee on Banking Policy and (6) the Bank of America National Advisory Board. 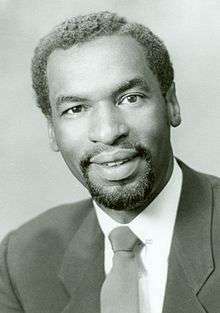 In 1986, he defeated incumbent Democratic congressman Alton R. Waldon, Jr. in the primary and was elected to the 100th United States Congress from the 6th New York Congressional District, which included Jamaica, Queens and most of its surrounding neighborhoods, stretching from Ozone Park and Woodhaven to the border with Nassau County. He remained in the House of Representatives until 1997, when he resigned in the middle of a term in order to return to work at his church full-time. Flake has published several books, including The Way of the Bootstrapper: Nine Action Steps for Achieving Your Dreams (ISBN 0-06-251596-9) in 1999. He was interviewed by C-SPAN's Book TV at the time, and the interview was rebroadcast on January 20, 2007. Booknotes interview with Flake on The Way of the Bootstrapper, July 4, 1999.